10 years! 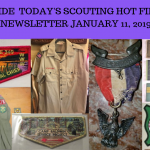 The first Hot Finds Newsletter came out 10 years ago in January 2009. I have never tried to keep up with how many I’ve published over the years but safe to say it’s over 1,000 and still going. The very first Hot Finds was meant to push people to my off-eBay store. That was so long ago that I’m on my 4th version of an off-eBay store since then! 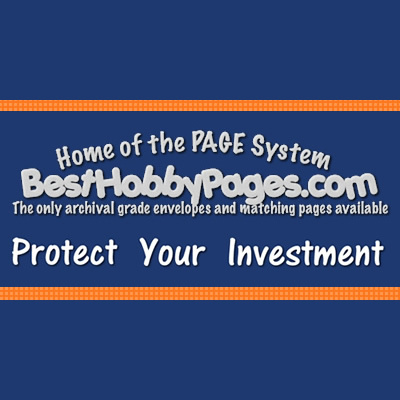 But when I discovered that having the focus being what’s closing in the next few hours on eBay I found the niche that has carried the Hot Finds through the decade. The newsletter spawned a podcast three years later. 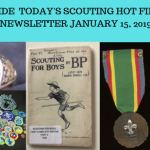 The podcast led to co-founding the Scout Patch Collectors Facebook Group. Along the way I figured out to keep hustling and make this hobby a full-time business and leave the classroom behind after 14 years in public education. During the course of 10 years I’ve literally had over 10,000 people unsubscribe from the newsletter. That’s probably a dubious distinction but it also reflects how many people I’ve sold things to on eBay and sent them the newsletter for a trial. The current readership is strong and later today I’ll be plugging some new subscribers in. Tonight I’ll turn the auction strategy back on since the holidays are over. I’ve got plenty of drafts built and ready to go. In the next several weeks I hope to attend 3 TORs with the first on less than a week away down in Myrtle Beach, SC. My family rung in the new year staying at a hotel in uptown Charlotte. We attended last night’s NBA Hornets game (a win) and walked the streets with other CLT revelers. 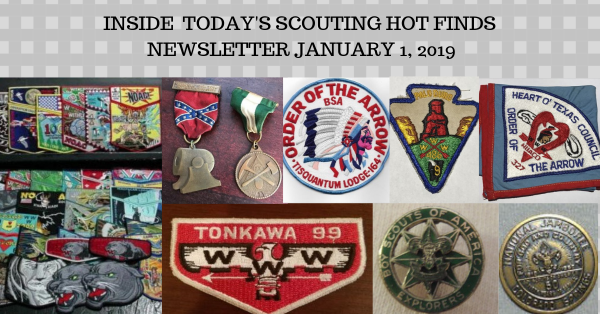 I hope your 2019 is promising and hopefully I’ll catch you at a TOR or Scouting event coming up.